The ATJ team is a tale of two states. When the MA team and the CA team finally get a chance to hang out together, they generally do things like go to the San Mateo Truck & Jeep Show. The bad news is that, if you're reading this and you didn't go, you missed it. The good news is, we met Rick Russel! Of the Off-Road Adventures' Series fame, that is. 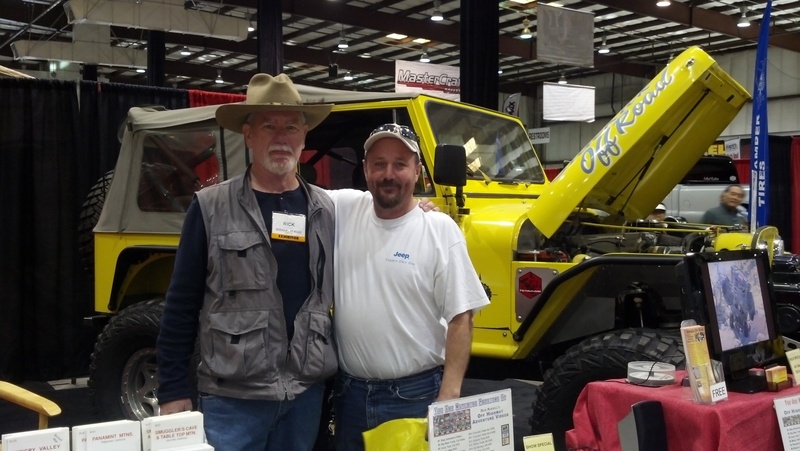 If you're not familiar with Rick Russell, then you haven't been paying attention to the long list of DVDs, most of which can be seen here, we at All Things Jeep have provided for years. R.R. is an all-around laid-back guy who keeps busy with his off-roading business and is guilty only of being just a bit surprised at the photo op. Of course, there were other highlights -- in truth, too many to mention. Here are a few that stood out. 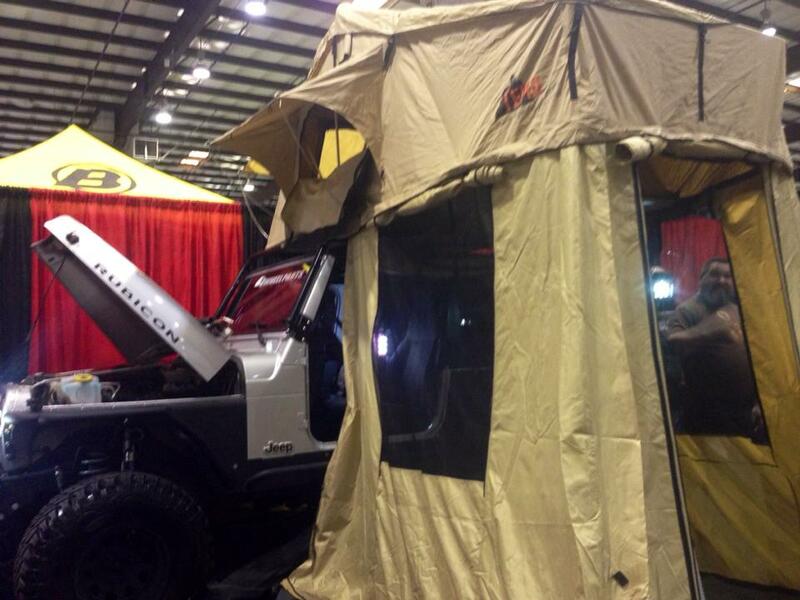 When you say you're going to take the Jeep camping, chances are you don't intend on inviting it into the tent. But you sort of want to, don't you? Sure you do. 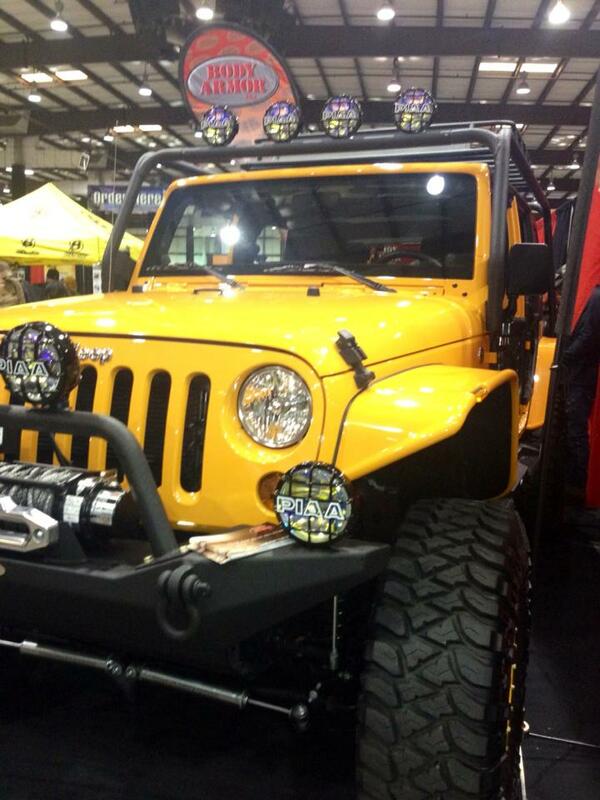 The tent seen above, then, offers a whole new spin on the notion of taking the Jeep camping. Heck, the Jeep has earned its place as a member of the family, right? Right? And you're not going to let it into the tent? Harsh. 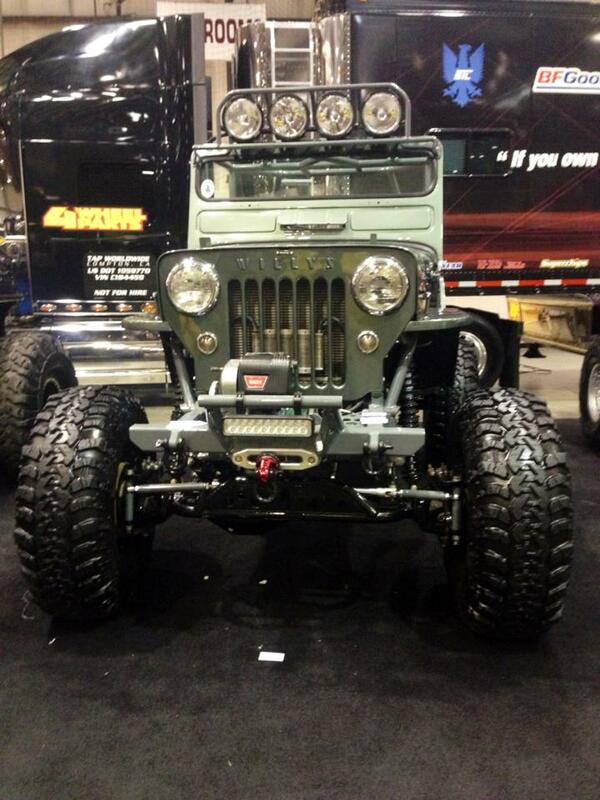 Take a cue from the local Jeep club that had this beauty on display and camp with your Jeep. This one's wearing tank treads. 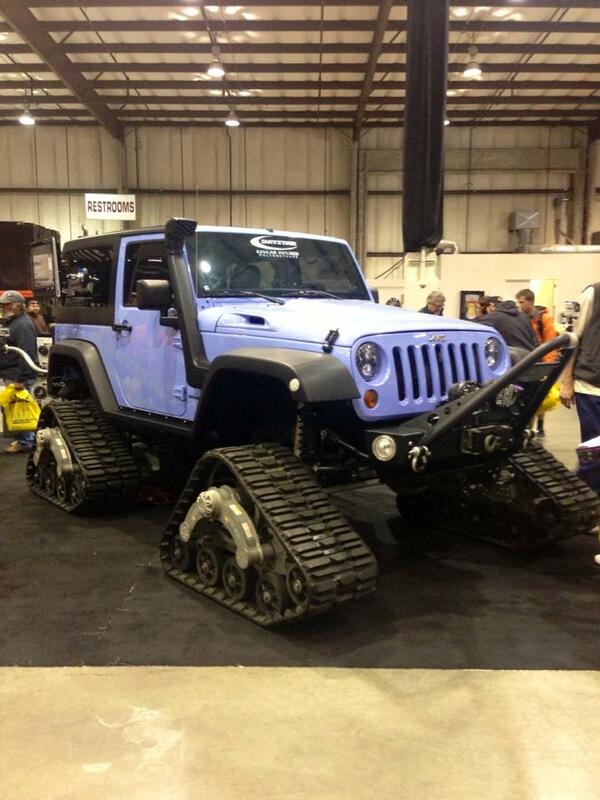 We realize this isn't exactly breaking new ground, but look -- a Jeep with treads. That's exciting, right? Look in the correct corners of the Web and you can see daredevils using treaded Jeeps to pull outhouses around and stuff. Spare tire becomes optional. As you probably know, Jeep was born of a scrambling, intense need. In a battle for the government bid, Bantam's blueprints had been adapted by Ford and Willys into their own prototypes. 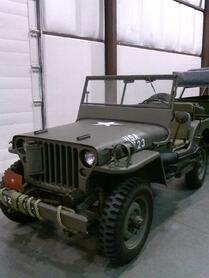 The demand for the Jeep was so great by the time each was completed that both, in addition to Bantam's original prototype, were green-lighted for 1,500 units each. Willys' model would become the MA (Military model "A"), which naturally progressed to model "B," becoming, you guessed it, the MB, which is pictured here. Willys' finally won the contract and incorporated the improvements of Bantam's and Ford's models. And that's all, folks. Thanks for reading. Isn't it just like you were there? OK, maybe not. Here are a few more pics, just for grins. 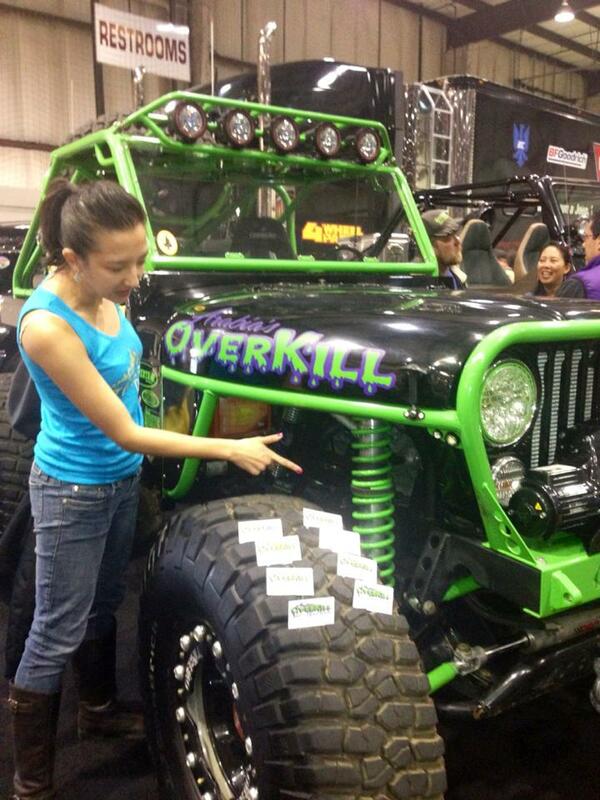 Shortly after this photograph was taken, Lorraine, of ATJ, crawled into Overkill's wheel well for a quick catnap.